Six weeks of learning Esperanto is over today. Last night I filmed my video presentation, uploaded it to YouTube, and in a few minutes I’ll email the contest organizer the link. It has been fun, for the most part. Not only did I learn some Esperanto, but I learned a few things about how to learn a language. More singing: I love to sing. I don't think I'm great at it, but I like doing it. Listening to music isn't a good language learning tool for me. It's hard to pick out words, and sometimes songs in Esperanto will leave out the last syllable on some words. Heck, I often have a hard time figuring out lyrics in English, and it's worse in a different language. But finding lyrics on the Internet, learning the words, and singing along helped me to internalize the language. I wish I had done that with more than two songs. More videos of myself: I didn't take a video of myself speaking Esperanto until 4 days ago, when I decided to do a practice run of my presentation. Boy, am I glad I did a practice run. I discovered that I didn't know a few the words I needed to know for my presentation. And I discovered some mistakes I was making. Since winning this competition meant doing a video presentation, I could have and should have started practicing the presentation weeks ago. Some of my fellow Esperanto learners did a video at the end of week one, so they could see the improvements they made by the end. I did not do that; I should have, though. And even if a video presentation wasn't part of the competition, forcing myself to speak about a topic for three minutes, and then going back and critiquing myself was useful. My final video would have had fewer grammar and pronunciation mistakes if I had practiced more. I should have tried harder to find someone to speak to. 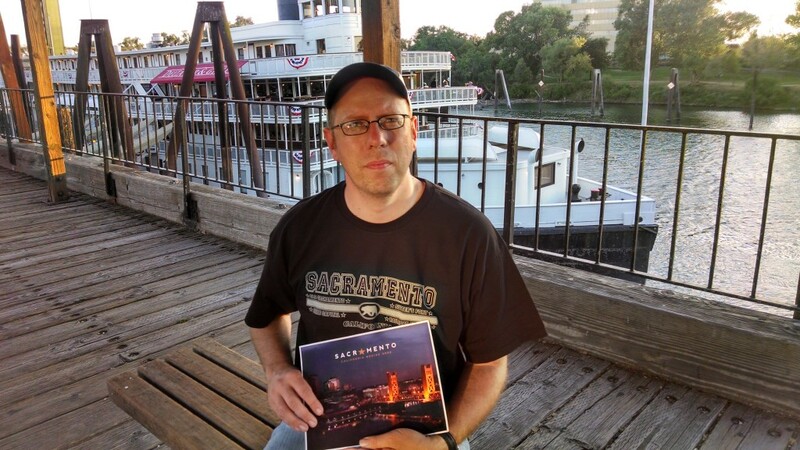 I'm sure I'm not the only person in Sacramento who knows at least a little Esperanto. Being able to speak with someone who knew the language better than me would have been great. They could correct my mistakes. I would have been exposed to new vocabulary. It would have taught me to understand spoken Esperanto better. I could have asked questions. Lots and lots of questions. I did exchange a couple emails with an Esperanto learner in Ireland, but I let my busy life get in the way of responding to him, so that didn't last very long. And I tried lots of new ways to learn. For most of the last year my language learning has been mostly from Duolingo. Duolingo is great . (In fact I wish you could learn Esperanto with Duolingo.) But it has a few drawbacks. Trying many methods in tandem seems to work better than just one. So now what? I have a decision to make now. Part of me wants to spend another 6 weeks on Esperanto. I think I'd be pretty close to fluent by the end of the summer. Part of me wants to go back to studying German. And part of me wants to pick a different language. I'll take a few days to decide. The video: So I'm not 100% happy with it, but I don't think I did too bad for someone who didn't speak any Esperanto 6 weeks ago. I made a few mistakes. And it was a breezy evening, and so the audio quality drops out at a few places. But I'm proud of myself for being able to talk about my hometown for over three minutes, without notes. I spent 9 months trying to study German and I wouldn't be able be able to this presentation in German. I hope they post a list somewhere of the other videos in the competition. I'd love to see how others did after six weeks. It was very interesting also to hear about your learning experience. I didn't try singing, but I can see that really working for me. In a few weeks, me and another FI3M team member are going to start new language projects, and do video uploads on the blog. I hope that you will join us! I’ve really enjoyed watching you and Benny through this experience. You’re doing great, too. I’ll have to admit, I was a little jealous that I didn’t have an experienced Esperantist as a coach. Can’t wait to see your next project. Hey Kent, don’t worry about not keeping contact, I was super busy too with work so I’ve been letting my Esperanto learning slacken too. If you want to keep up contact, feel free to send me an email whenever you’re free. I think it would be good to keep in touch. I sent you a (three week late) reply to your last email. Had to use an Esperanto-English dictionary a couple of times. Hi could you share what music you found and listened to in Esperanto? I found all my Esperanto music on YouTube. But if you just search for "Esperanto Music" on YouTube you'll finds about 50 or so more. Really good presentation! You were speaking quite fluently and I understood every word. For Esperanto music, try http://bit.ly/koncertoj – it’s a list of concert videos, maximum of one per band, so see which bands you may like and then search for their name on Youtube. Ni havas Esperanto-klubon cxi tie en Sakramento! Vi devus veni renkonti nin iam. Ni kunvenas cxiun monaton. Se vi deziras partopreni, kontaktu min! English translation: We have an Esperanto club here in Sacramento! You should come meet us sometime. We meet every month. If you want to participate, contact me!